The anatomy of the heart is complex yet interesting. It has all those small veins which play an important role. There two types of veins; coronary artier, which provides heart muscles with the oxygen rich blood are called, and the cardiac veins, which removes the deoxygenated blood from the heart muscles. It is important that these two types of the veins perform their activities easily. Any problem with them, a person may suffer from heart problems; and to the worst, heart attack. One such heart problems could be coronary artery disease. 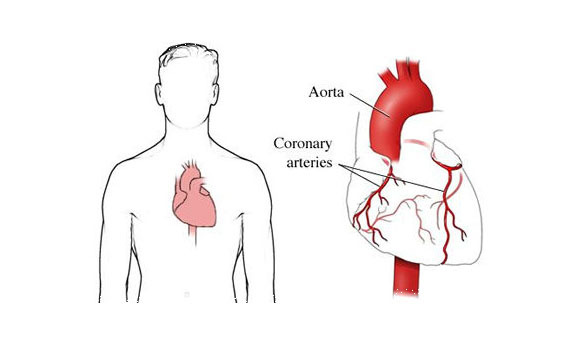 Coronary artery disease could be the result of a collection of atheromatous plaque; which is made up of fat, cholesterols and other, within the walls or coronary artier. The free space through which the nutrients, oxygen and other important things flow in the coronary arteryis called lumen. This plaque deposits in the lumen and narrows it. Due to this, the heart fails to receive the amount of oxygen and nutrients required for its function. As the coronary disease is related to the heart, the very basic symptom would be the chest pain. But, it happens, that sometimes you might not have any symptom but the disease will be there. The chest pain happens when your heart fails to get the proper amount of oxygen. Though, this pain may vary from person to person. You may feel as if someone is squeezing your heart and it could be felt under the breast bone. Also, you might feel the pain in your neck, stomach, arm and upper back. The pain may arise due to activity and emotion and would go away when taken rest or with medication. Also, women, elderly or people with diabetic would have some additional symptoms. These could be fatigue, general weakness and shortness of breath. We knew that the coronary artery disease happens as the vein is narrowed. But there are reasons on why these veins are narrowed. This happens because of smoking, high cholesterol, high blood pressure, diabetes and the worst is the chest cancer. In such cases, it is better that you keep yourself fit and healthy. Our modern lifestyle can be the reason behind this disease. It would be better if we can control our certain bad habits which are causing trouble to our health and most importantly our heart. Firstly, we need to stop smoking and control our blood pressure. These are the habits which can be the reasons behind this disease. One needs to keep the health under control so that he/she won’t face coronary arteries disease. This is of utmost importance that the person pays a regular visit to the doctor. 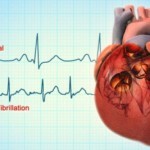 Getting a heart problem is indeed a sign which shows that how neglected we are towards our health and fitness. Let’s pay attention and be fit.